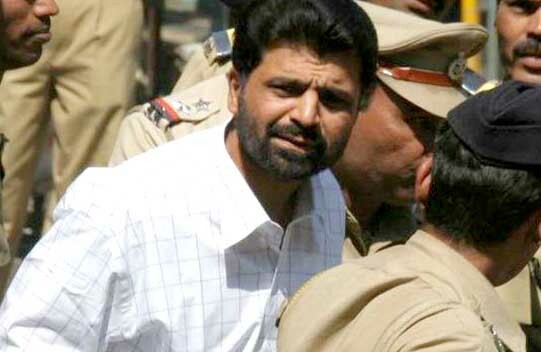 New Delhi : Yakub Abdul Razak Memon, the sole death row convict in the 1993 Mumbai serial blasts case, on Thursday moved the Supreme Court seeking stay of execution of his death sentence scheduled for July 30. Memon, in his petition said that all legal remedies have not been exhausted and he has also approached the Maharastra Governor with a plea for mercy. He had filed the mercy plea before the Governor immediately after his curative petition was dismissed by the apex court on Tuesday. Memon has claimed that relevant guidelines were not followed in the procedure of awarding death sentence to him. Meanwhile, Memon's family has reached Nagpur to meet him. His wife and four others will be meeting him on Thursday at the Nagpur jail. His curative petition against execution was rejected on Tuesday. He has filed a mercy plea with the Maharashtra Governor. Hyderabad Police has stepped up the security ahead of Memon's hanging on July 30. The police is taking all precautionary measures to prevent any untoward incident. "Necessary precautionary measures will be taken up and there is nothing to worry. Whatever security arrangement for public is needed, it will be made," Hyderabad Police Commissioner M Mahendar Reddy said. The Hyderabad Police chief was responding to queries on reports that the Intelligence Bureau has directed the police to be on high alert. Asked about what type of alert has been issued, Reddy said, "it is only through media reports we learnt about it and there was no such official information (on the matter)." The Supreme Court, on Tuesday had dismissed the curative petition of Memon, who is lodged in Nagpur Central Prison.